Health Minister Sarah Hoffman says her government has “addressed” issues with Covenant Health’s assisted-dying policy, despite lingering concerns from academics, patient advocacy groups and families of patients. Alberta Health Minister Sarah Hoffman says her government has "addressed" issues with Covenant Health's assisted-dying policy, despite lingering concerns from academics, patient advocacy groups and families of patients who say forcing patients to go off-site to access the services has traumatized them. 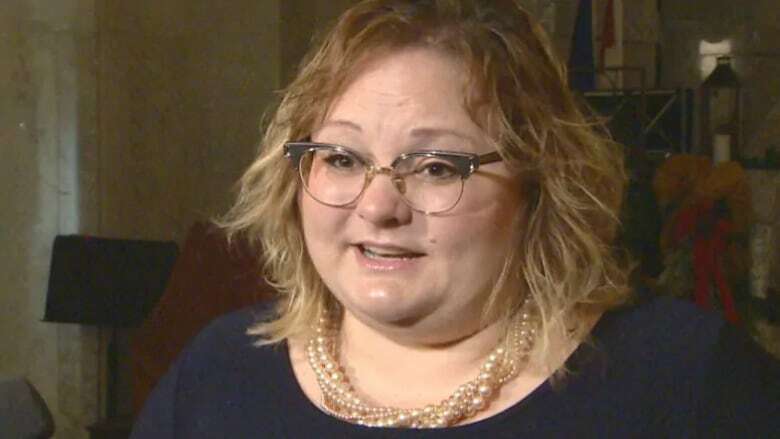 "We have addressed those concerns and we have made sure that the new [assisted-dying] model continues to work in a way that respects patients and their choices," Hoffman told the legislature Tuesday in response to a question from an opposition MLA during question period. Alberta Party MLA Rick Fraser, a paramedic, had asked why the minister has allowed Covenant Health's policy for more than two years, despite knowing some patients had struggled to exercise their legal right to an assisted death because of it. Hoffman, as she has previously, refused to answer that question. Over the past month, CBC News has revealed how some terminally ill patients have suffered under Covenant Health's policy on medical assistance in dying (MAID) and have been forced to leave their publicly funded health facilities — some, taking to the streets outside — just to access services. In 2016, the NDP government under Hoffman exempted the Catholic health provider from having to provide access to MAID services on its properties. Covenant Health's default position is that patients cannot even sign the form requesting an assisted death, or receive assessments by Alberta Health Services (AHS) staff, on its property. Patients are always transferred elsewhere for the assisted death itself. Following publication of CBC News reports on the issue and the ensuing public backlash, Covenant Health said it is reviewing its policy on assisted dying. Hoffman, who is overseeing that review, told the legislature she expects Covenant Health's new policy will allow all patients to undergo MAID assessments without leaving their Covenant beds. "This fiscal year nobody has had to be removed for an assessment to be done," Hoffman said. "I have asked (Covenant Health) to make sure that they update their policy to reflect that that will be the expectation moving forward," she continued. "And if it doesn't do so, I will act myself." But in a Monday interview with the CBC program Alberta at Noon, Covenant Health CEO Patrick Dumelie signalled the health provider's review will not be comprehensive. "While the individual has a legal right to terminate their life in certain circumstances, we believe that our beliefs and our rights have to be equally respected," he said. Dumelie twice refused to directly answer the question of whether Covenant's new policy will allow, as a default, patients to undergo their AHS assessments on site. As individuals, health-care practitioners have a Charter-protected legal right to refrain from facilitating assisted dying. It is not, however, established in Canadian law that health institutions like Covenant Health have that same legal right. Ethics and legal experts, and patient advocacy groups, have called Covenant Health's policy inhumane and said it infringes on the rights of patients. 66-year-old Doreen Nowicki had to have her assisted-dying assessment on the sidewalk in May 2017 because of Covenant Health's actions. 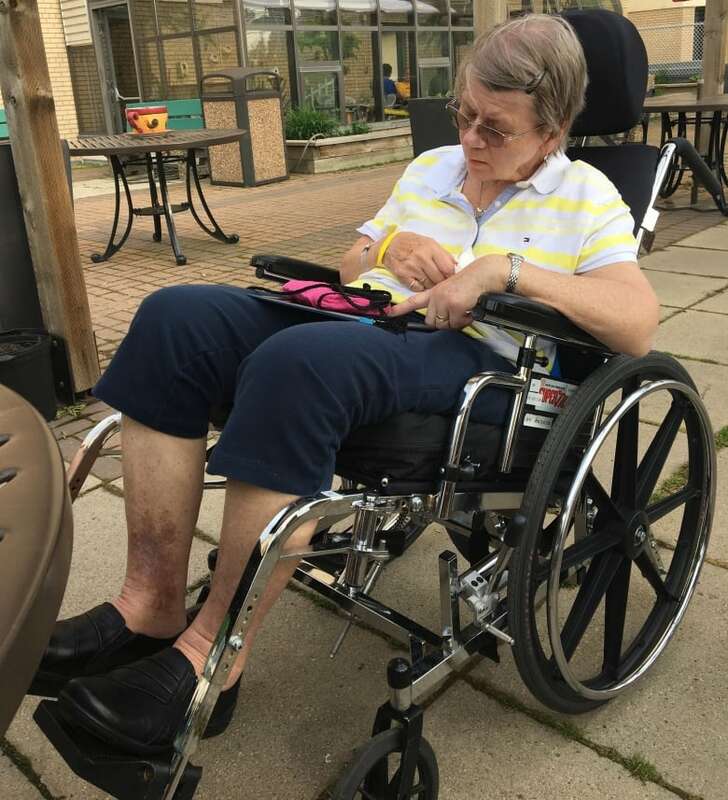 (Nowicki family)Those patients include Doreen Nowicki, a 66-year-old ALS patient who in May 2017 was forced to have her assisted-dying assessment on an Edmonton sidewalk because of a last-minute Covenant decision. Nowicki could not walk or speak, and had to be wheeled outside as she sobbed. Bob Hergott, 72 years old and effectively paralyzed, signed his assisted-dying request in a bus shelter because his Covenant hospital of five years would not allow him to do so on site. And in July 2016 — less than two months after MAID became legal in Canada — an AHS doctor complained to Hoffman that a rural Alberta patient nearly bled out and died of natural causes after Covenant initially prevented him from accessing MAID services. In the legislature Tuesday, Hoffman said she recognized Covenant's actions created "some situations that were very difficult for families." She thanked Nowicki's family for meeting with her earlier this month to discuss their concerns. Nowicki's family told CBC News they were disappointed by that meeting. The family, which wants Covenant patients to access all MAID services on site, said Hoffman appeared unwilling to bring about any sort of meaningful change to Covenant's policy. Speaking Monday on Alberta at Noon, health-law professor Ubaka Ogbogu said he is also disappointed in Hoffman's response so far. "I think the real problem here is that the minister has failed to acknowledge that Covenant Health is doing something that is incredibly, incredibly wrong and shows a lack of compassion and understanding of its role in the health-care system," Ogbogu said. "And until there is a frank acknowledgment of that issue, I don't think we are going to come to a compromise that is acceptable to everyone involved."